Back in July we reported on a one-of-a-kind virtual Q and A session with Jorge Gutierrez. The session was held in the Convrge platform- a virtual reality platform available either on standard computers or on the Occulus Rift VR headset. Following the success of the session, the platform is now due to be host to another guest who will be of interest to animation and film fans- Andre Tong. You may not immediately be familiar with the name, but you'll most likely be familiar with his work. 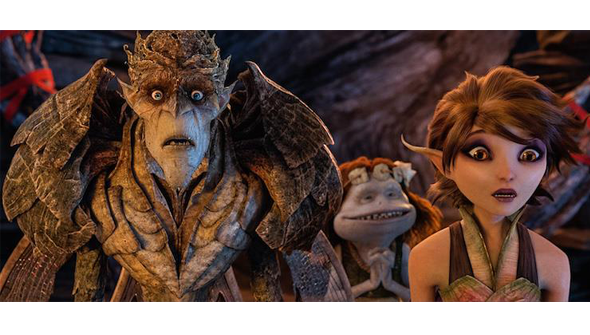 Tong is from Singapore and has worked on animated movies including Strange Magic and Rango. As a 3D animator at Industrial Light and Magic (ILM) he has also worked as an animator on films including The Avengers, Transformers, Pacific Rim and this summer's smash hit Jurassic World. The session will allow you to find out about Tong's work on these films and more, and highlights how animation is becoming more and more a vital part of Blockbuster cinema. It's a unique chance to get behind the scenes insight into some of the biggest films in movie history. The event will take place at 8pm Pacific on Saturday 22nd August, and is scheduled to run until 11pm. See the event page here, or find out more about Convrge and get involved here. Check out some of his amazing work below. Animation VFX Reel April 2015 from andre tong on Vimeo.